Each year, Mitchell 1 publishes a must-have resource for any shop doing emission testing and/or repair. 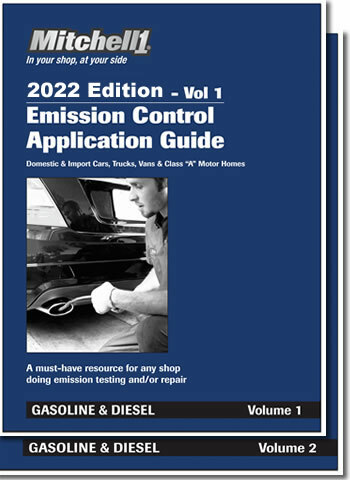 We're happy to introduce the 2019 Emission Control Application Guide (ECAT19) for domestic and import cars, light trucks, vans (diesel engines) and Class 'A' motor homes with gasoline engines, model years 1966 through 2019. Inside you'll find vehicle-specific emission system information for repair shops that perform smog inspections. The Guide is a great help to any shop that must comply with state emission standards. A must-have resource for any shop doing emission testing and/or repair. I/M areas that require ignition timing and EGR function testing.